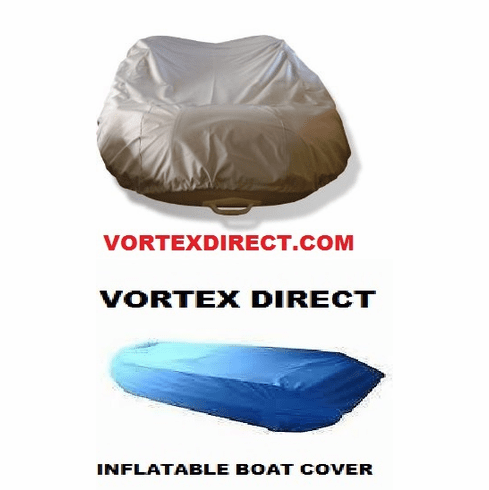 BEST INFLATABLE BOAT COVER AVAILABLE...BASE OF COVER IS HEAVY DUTY 600D MARINE GRADE POLYESTER...THEN IT IS TWICE COATED WITH POLYURETHANE ON THE BOTTOM SIDE, SPARAYED WITH A MILDEW PROTECTANT, AND SPRAYED WITH AN EXTRA WATERPROOFING AGENT. THIS IS EXTREMELY WATERPROOF. IT IS THE BEST AVAILABLE, AS IT KEEPS MOISTURE OUT, BUT WATER VAPOR WILL PERMEATE IT, SO IT WILL KEEP WATER OUT, BUT WILL LET WATER VAPOR OUT! IT IS SIMPLY THE BEST AVAILABLE. COVER HAS A DRAWSTRING AROUND THE BOTTOM, AS WELL AS A STRAP TO HOLD IT ON, IN CASE YOU TRAILER IT. THIS COVER IS ABSOLUTELY TRAILERABLE. THE 600D OR 600 DENIER IS AN INDIRECT MEASURE OF THICKNESS AND WEIGHT OF THE FABRIC. THE LARGER THE NUMBER, THE HEAVIER THE FABRIC. 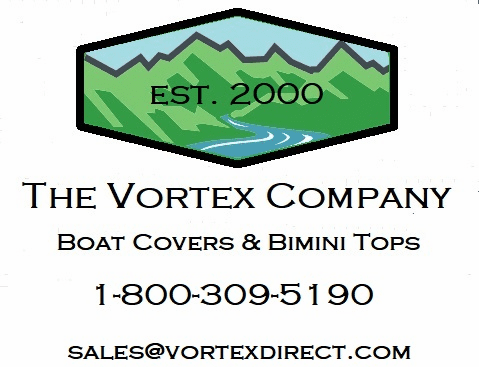 MOST COVERS YOU SEE FOR THIS TYPE BOAT WILL BE 300D OR 150D, WHICH ARE PROPORTIONALLY 1/2 AND 1/4 AS THICK, AND ALSO PROPORTIONALLY 1/2 AND 1/4 AS HEAVY DUTY. AGAIN, THIS IS JUST THE BEST COVER AVAILABLE. QUESTIONS? CALL OUR SALES HOTLINE AT 1-800-609-9457.